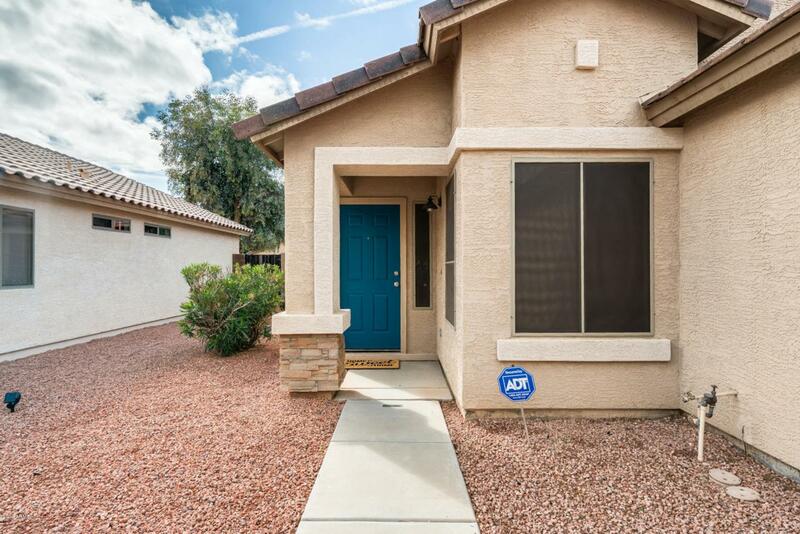 This beautiful 3 bedroom 2 bath home has been tastefully updated located in Ashton Ranch featuring 3 community pools and close to Ashton Ranch Elementary as well as Surprise Spring Training Baseball facilities and recreation center. 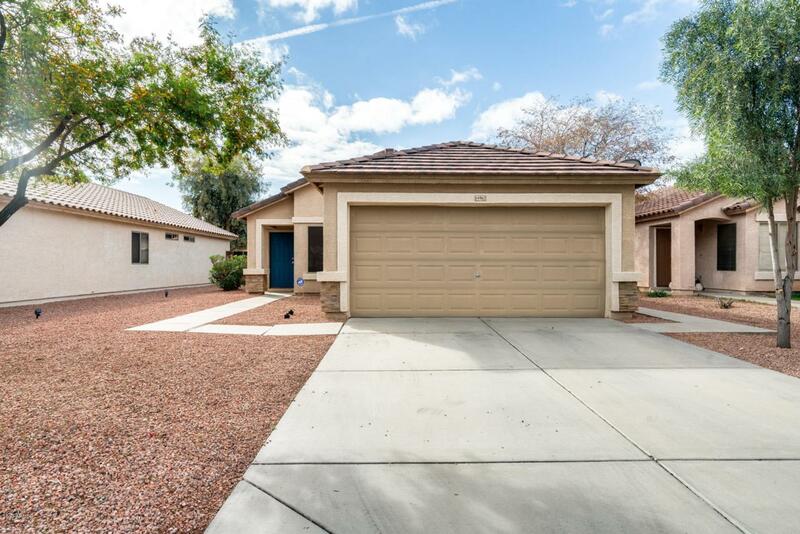 Property features a spacious great room concept with Vaulted ceilings, Fresh interior paint, built-in entertainment niche and neutral carpeting replaced 2019. Split floor plan with generous sized bedrooms. Kitchen has granite counters with modern backsplash and stainless appliances. 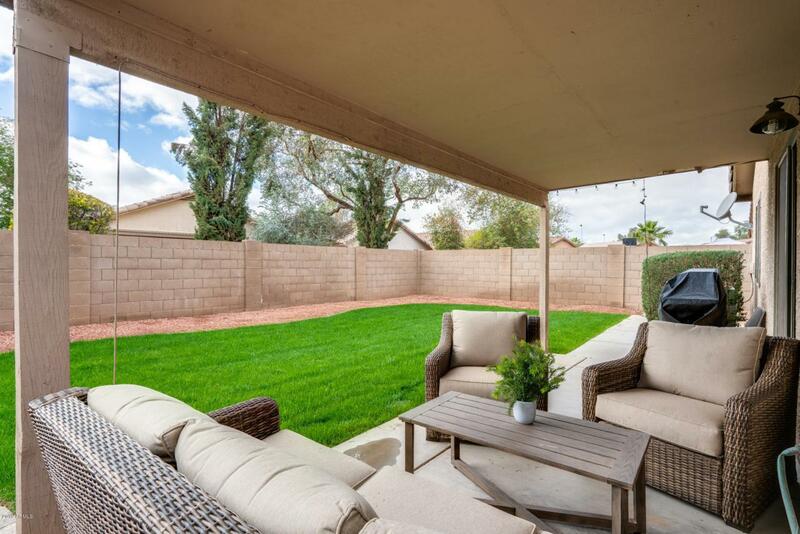 Low maintenance front yard and professionally landscaped backyard with covered patio and large grassy area. 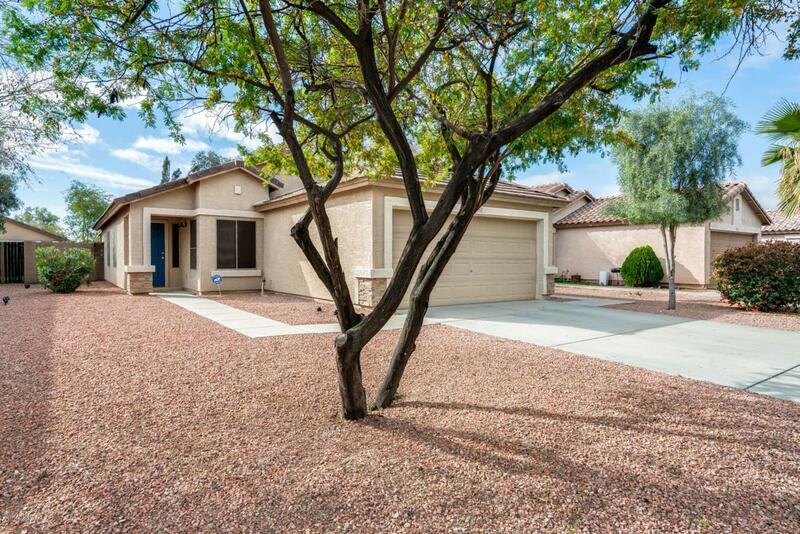 Come see this immaculately kept home today!